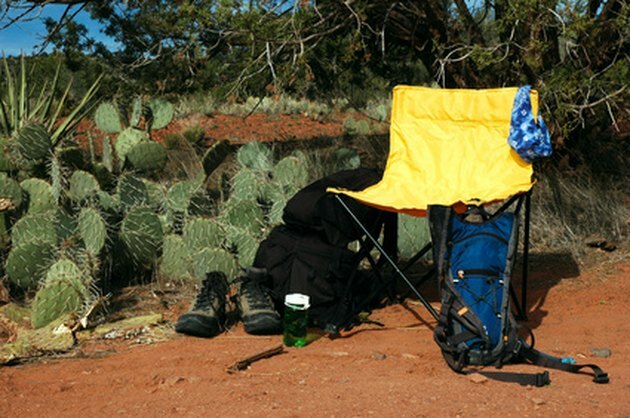 Whether you camp or just sit on your patio or balcony outside, a canvas chair can be a portable way to enjoy the outdoors without the discomfort that comes from sitting on the ground or stone. As convenient as canvas chairs can be, they need to be cleaned on a regular basis to keep them in good condition and make them usable for years to come. Cleaning your canvas chair regularly can add years to its life. Remove the canvas cover from the chair completely. Brush the loose dirt and any debris off the canvas with your hand. Launder according to the directions on the tag. Brush any loose dirt and debris from the canvas chair. Combine 2 gallons of warm water with 1/2 cup of a gentle liquid detergent like Woolite into the bucket. Gently wash the canvas, using the sponge on most of the chair. Scrub the seams and heavily stained areas using the scrub brush. Rinse off the canvas chair using the garden hose. Thoroughly remove the liquid detergent mixture from the chair. Allow the canvas chair to air dry. Spray the canvas chair with the outdoor fabric protector. 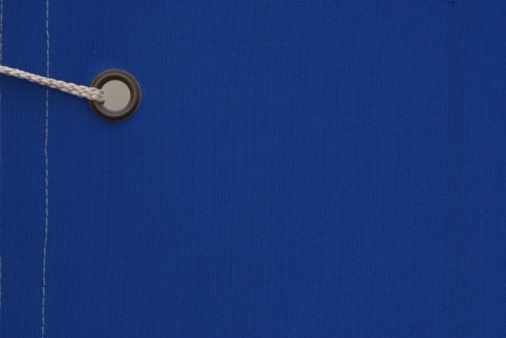 Go over the entire canvas, using a sweeping motion from 2 to 3 feet away to leave an even coat. Allow the outdoor fabric protector to dry completely. Will Canvas Shrink in a Dryer?